We have an abundance of pears at the moment. 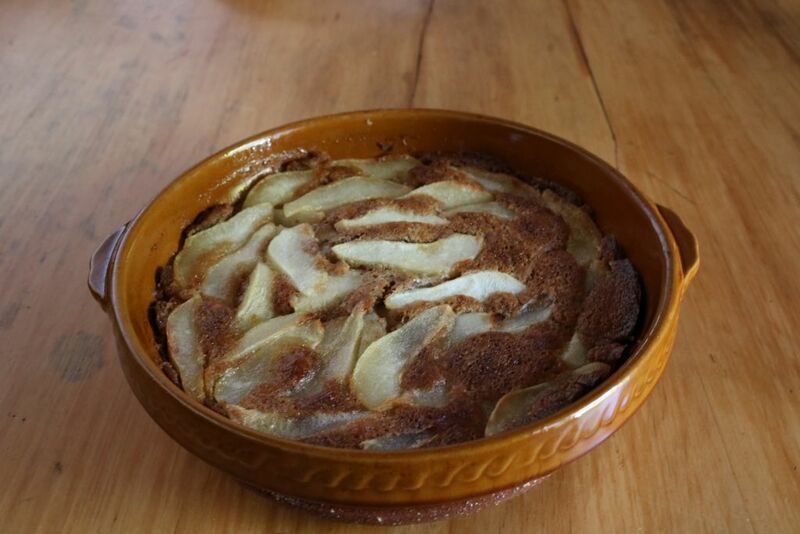 That means that I am up for preparing pear-inspired dishes. What a luxury the two pear trees are. Their sun-ripened fruit tastes like the warmest late summers day. 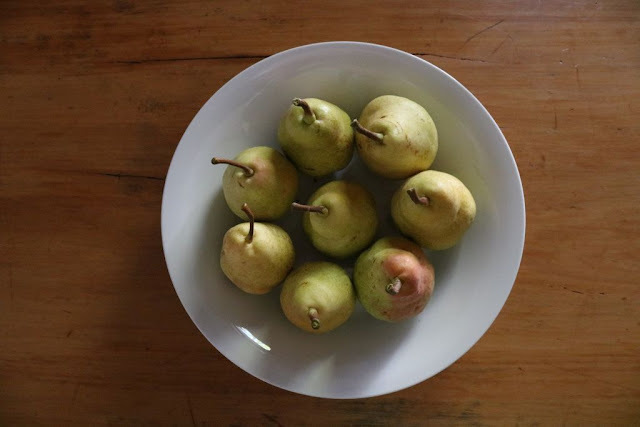 Between weeding vegetable beds and refreshing the Mediterranean fruit fly bait stations in the orchard and quince hedge, I still had to find ways of introducing the pears into our meals. One can see their sweetness in the colour of their skins. When they become a soft yellow with rosy cheeks they can seduce you with their sun-ripened sweetness. 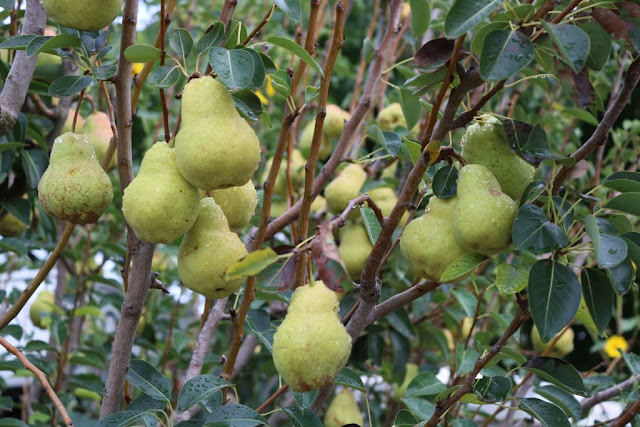 The pear originated in China and greater Asia. It is well documented in writings dating back to the 6th century. Source: https://hort.purdue.edu/newcrop/pearinhistory.pdf On planning the garden, it was a given that I had to include two pear trees, for cross pollination purposes, in the orchard. 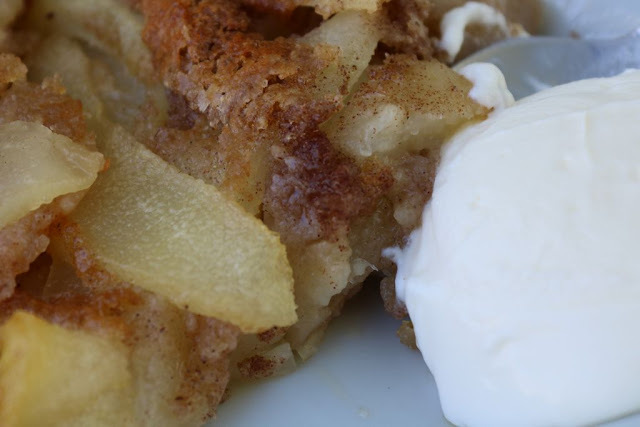 Source: https://en.wikipedia.org/wiki/Cobbler_(food) That did not really make sense to me because the cobbler would have been prepared on an open fire by early settlers to America. I decided nonetheless, to make a pear and almond cobbler. Pre-heat the oven to 165 C.
Put butter in a baking dish and let it melt in the oven. Whisk together the milk, egg and almond essence, in a mixing bowl. Mix slowly with dry ingredients to make a batter. Pour over melted butter. Do not stir. 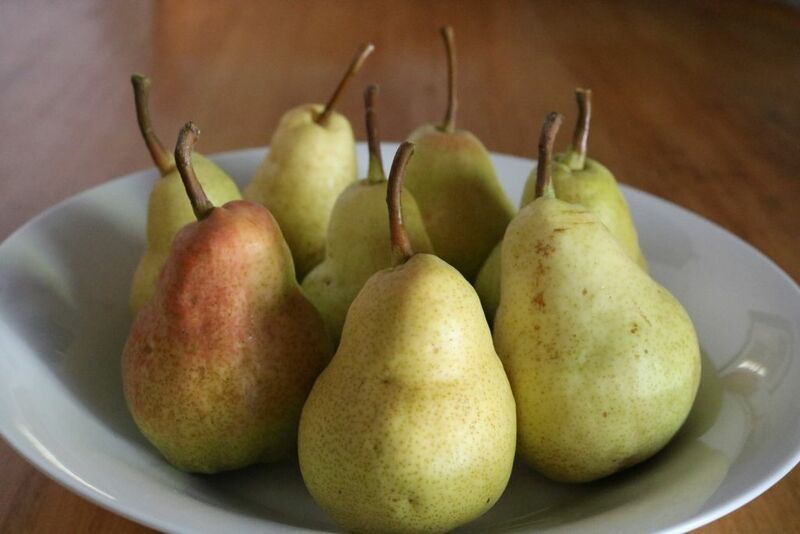 Place pears over the batter. Do not stir. 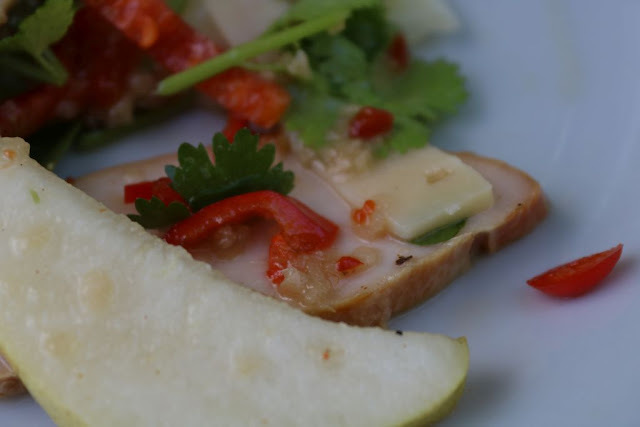 Bake in the preheated oven for 50 to 60 minutes, or until nicely browned and pears are tender. 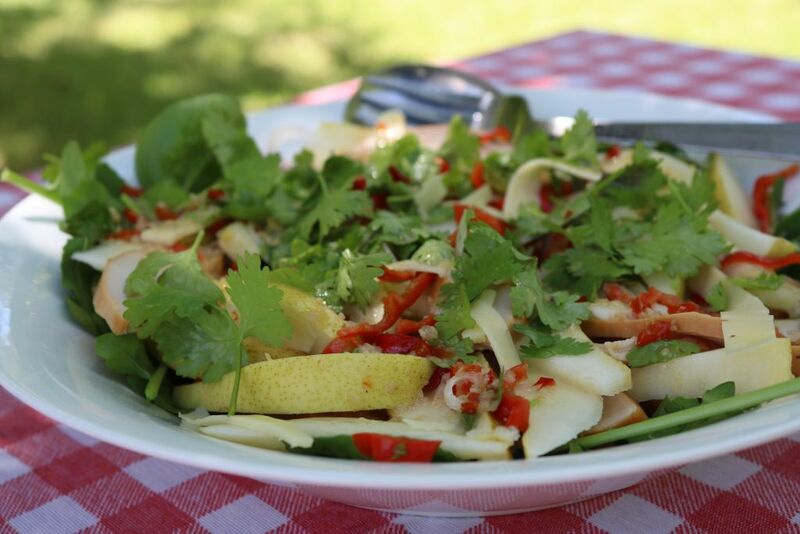 With Sunday dessert baking away, I looked at the bowl of pears and decided to make a smoked chicken and pear salad with rocket, red pepper, young red onions and coriander all, excluding the chicken, freshly collected from the garden. For a local twist, I added some Royal Ashton cheese from a local dairy nestled against the Langeberg mountains. I have to agree with Jean-Baptiste. 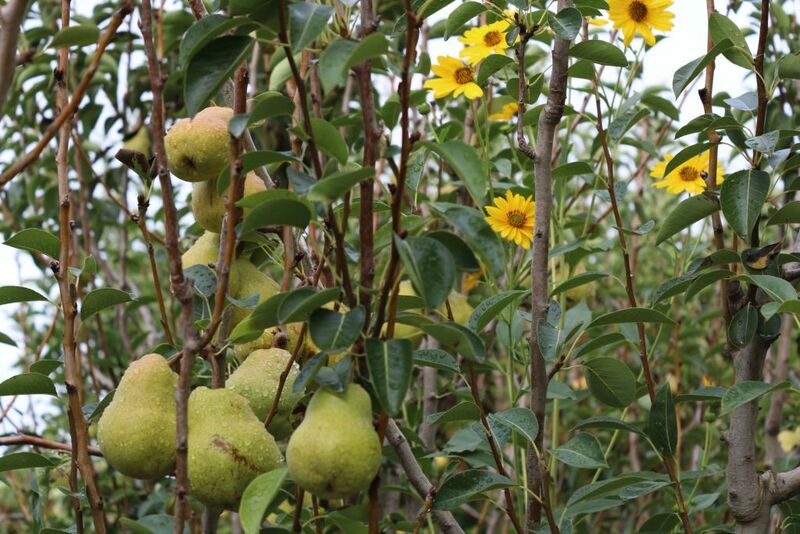 It is a pleasure to find a delectable ‘purpose for pears’ from the Towerwater garden. Lovely post and images. Thanks. A veritable pear fest.